PESACH in 59 minutes ! Get ready for Pesach with Interactive Exhibit of Pesach Story and Hafrasat Challa (dedicated to Refua for Eden) in the matza bakery.  This Monday evening April 3 from 8.15-9.00 @ Chabad Belgiëlei 22. RSVP before Sunday eve to save ur spot. Take home your own baked matza ! Hope u can join, Mashie.